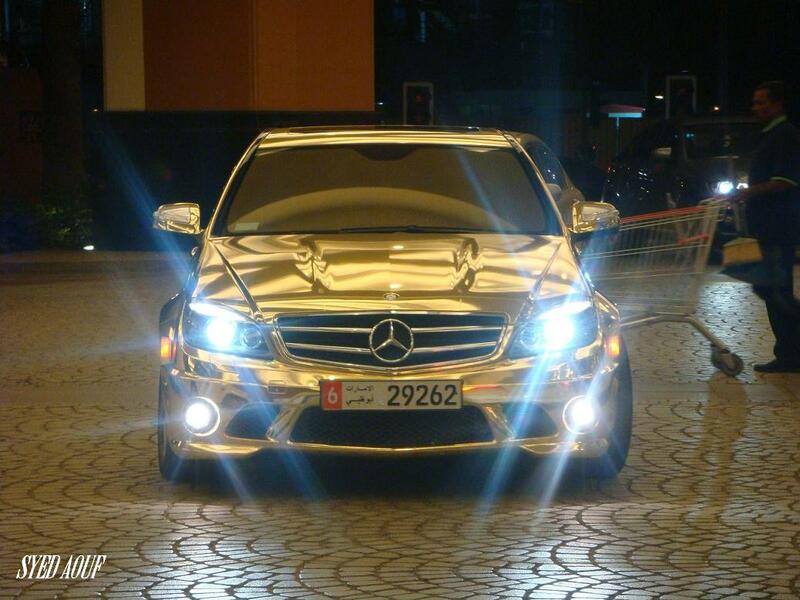 This United Arab Emirates-registered gold-mirror-finish Mercedes-Benz C63 AMG was caught at the Bling on Wheels Show, otherwise known as the valet area at the Mall of the Emirates in Dubai. 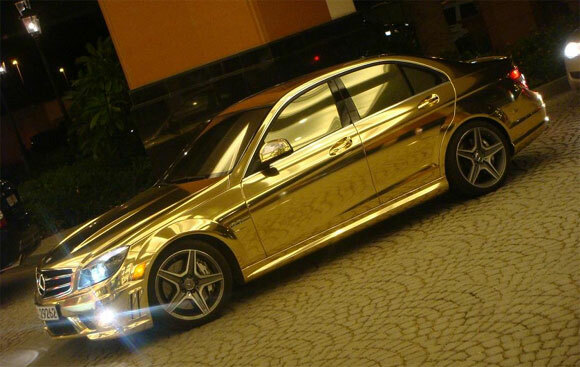 There is some debate as to whether this is a real paint job or a wrap, but parking your gold-wrapped C63 next to a genuinely chrome SLR would be shamefully ludicrous. 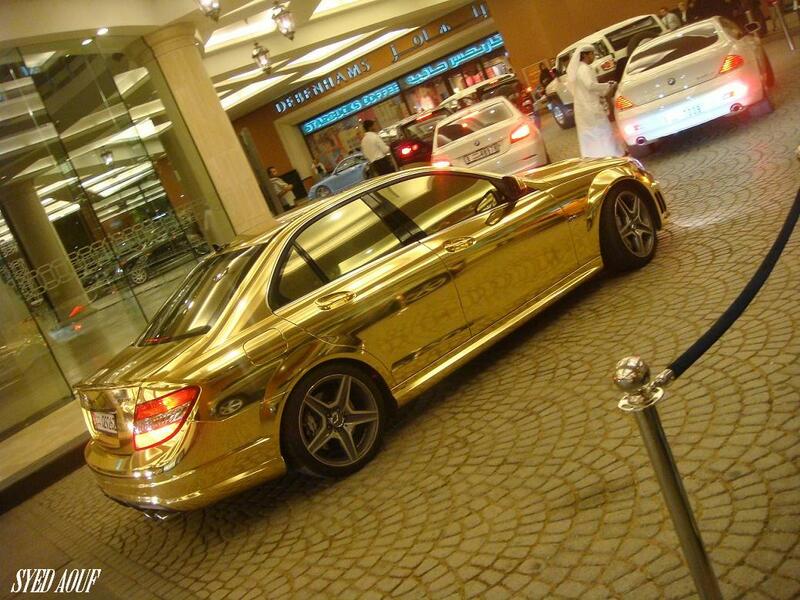 A C63 AMG goes for about 300,000 AED (about $82,000 USD). 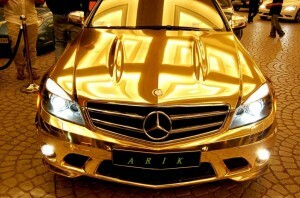 Unless gold paint bubbles out of the ground as well, a liquid gold paint job has to cost a good portion of that. And all for a C63? Really? We won’t ask whether it looks good… we’ll just guide you to the gallery of high-res images below. Hat tip to AB reader Chad.